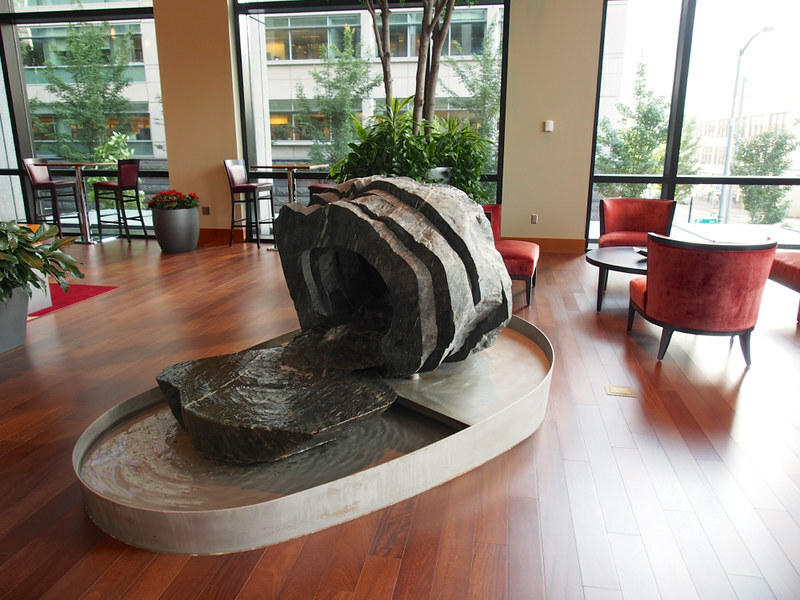 This odd water feature is in the lobby of my building. 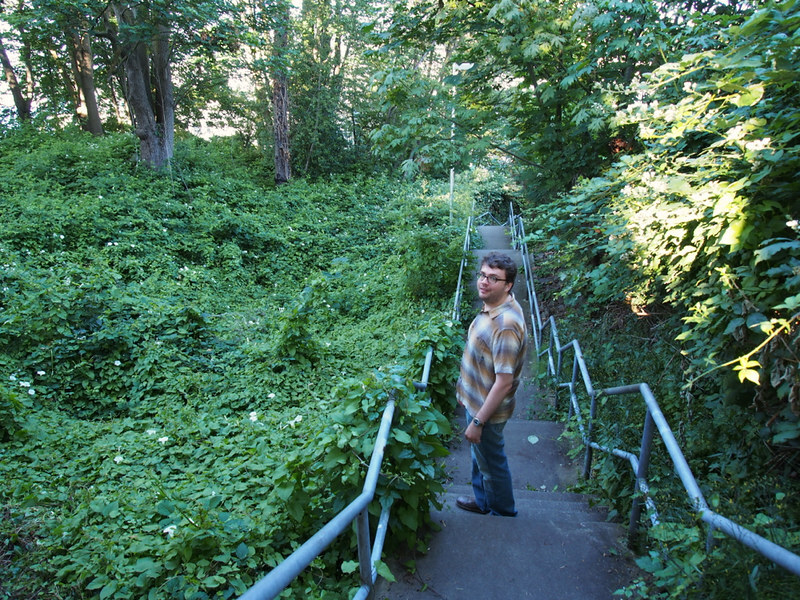 The building's Amazon name is "Blackfoot" -- It's 1.3 miles from our temporary apartment, so I'm walking there and back each day. My first days have been an absolute flood of information, so I'm just trying to keep up and get all of my various systems and memberships sorted out. 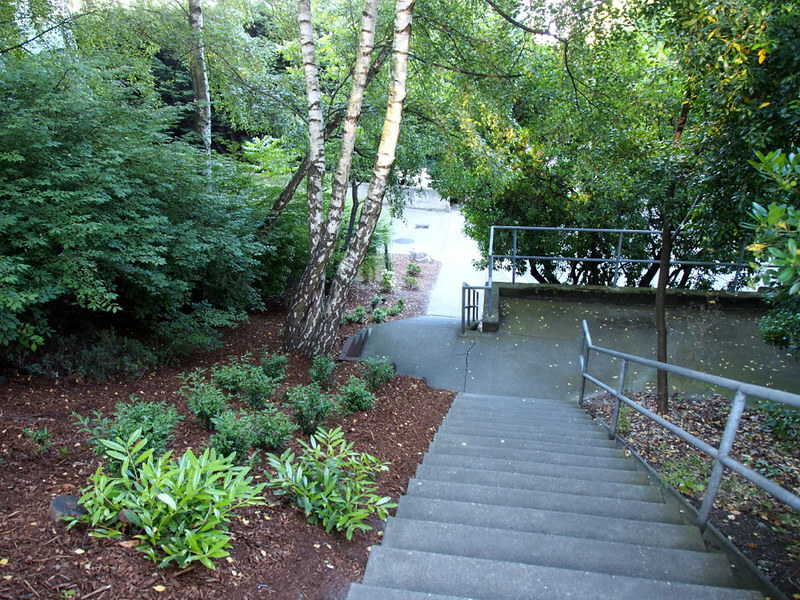 These shots are from walking home after dinner at a local restaurant today -- part of the walk is through a forested staircase to get to the pedestrian walkway over the highway. 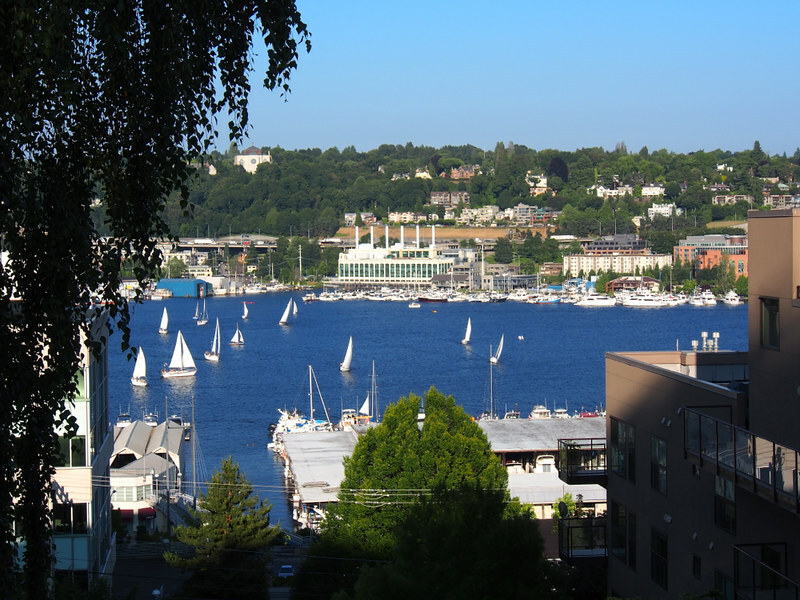 At one point you get a great view of Lake Union, the lake we're living near.